In Iceland, tipping is not expected; nearly all bills that you receive already include gratuity, and it is quite unnecessary—and uncommon—to add a tip. You will still get a smile and Icelanders will not think any worse of you if you tip. Of course, Icelanders will not decline a tip for good service. If you feel you have received excellent service, the best way to show your appreciation is to tip 10 percent or round up the amount of the bill. The main reason that you do not need to tip in Iceland is that many bills already have the gratuity or service charge included in the total. According to WhoToTip.net, an online resource that has tipping advice on more than 80 countries, "Another reason is that most workers make decent wages." Tor D. Jensen of Jensen World Travel in Wilmette, Illinois, agrees, "There's no tipping in Iceland." For example, a 15 percent gratuity is already built into most restaurant tabs, so even if you get great service, you would never leave more than a 10 percent tip. Doing so would be tantamount to giving the server a 25 percent tip, which would be exorbitant, even at the priciest restaurants in other countries. That said, the rules for tipping are nuanced in Iceland. It helps to know the unwritten rules for tipping in this Nordic country, industry by industry. From maids, bellmen, or concierge in hotels, to salon workers in spas and at the hairdressers, all of these service professionals do not expect a tip. The total fee includes their gratuities. Taxi drivers do not expect a tip either. There is a service charge included in the cost of your ride, so do not feel obligated. If you really want to leave a tip, although it is entirely not necessary, a common option is to round your bill up to the next even amount. However, you would likely do this only at expensive restaurants. At less expensive eateries, rounding up is not required. This no-tip rule also applies to bar staff. However, if your service was truly exceptional, feel free leave your waiter, waitress, or bartender a 10 percent tip. Similarly, you do not need to tip your tour guide. 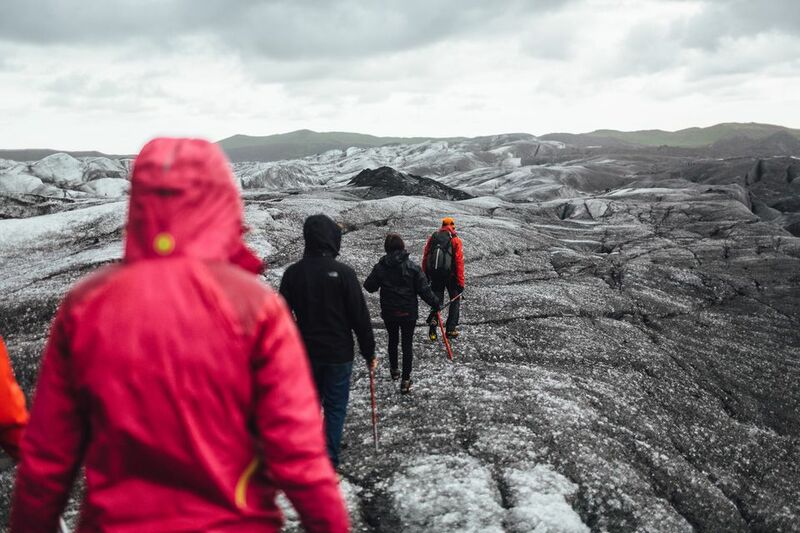 However, if your guide provides you with an exceptionally interesting excursion, you might consider giving the guide 10 percent—or an extra $20 for guides and $10 for drivers (U.S. dollars are accepted in Iceland). Or, "You might treat them to lunch," says travel agent Jensen. If you feel you received really great service and you not fond of math and figuring out 10 percent, then you can round up to the next even amount. For example, if your meal cost 16,800 Icelandic krona (ISK), roughly about $145, round up the total to 18,000, which would be a tip of about $10. It is far less than 10 percent of your total bill but still is appreciated. At a less expensive restaurant, if your meal costs 2,380 ISK (about $20), rounding up to 2,600 ISK would equal a tip of about $2, and in Iceland, such a tiny gratuity is perfectly acceptable.